While these days “hybrid” usually means a gasoline/electric vehicle, Valentin Technologies is exploring a different hybrid combination that promises a 5-passenger car with outstanding performance. While right now it is just a drivetrain concept, the combination of weight savings, aerodynamic efficiency, regenerative braking, and engine efficiency could yield an amazing 170 miles per gallon. 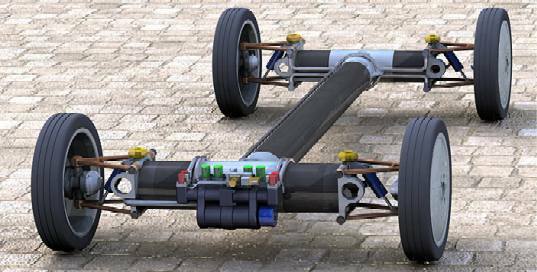 The hydraulic hybrid system of the INGOCAR (named after inventor Ingo Valentin) uses a small, efficient diesel engine not to drive the car, but instead to pressurize a high-pressure tank. Then, instead of using a mechanical drive train, hydraulic fluid under pressure is distributed to run hydraulic motors in each of the four wheels. Batteries are a very heavy component of electric hybrid cars. But, Valentin states that the hydraulic system weighs nearly half as much. These weight savings come from the elimination of the electric motors. 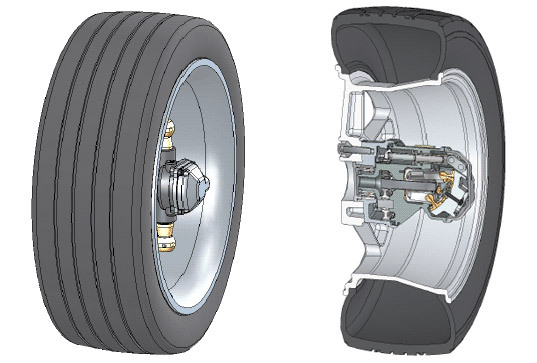 In fact, the hydraulic wheelmotors are even lighter than the disc brakes they replace in a conventional car, and they serve for both propulsion and braking. Hydraulic braking is more efficient than electrical regenerative braking. This means that less energy is lost during stop-and-go city driving, and contributes to the great efficiency this vehicle design offers. While these days "hybrid" usually means a gasoline/electric vehicle, Valentin Technologies is exploring a different hybrid combination that promises a 5-passenger car with outstanding performance. While right now it is just a drivetrain concept, the combination of weight savings, aerodynamic efficiency, regenerative braking, and engine efficiency could yield an amazing 170 miles per gallon.